Donald Trump hosts his first Iftar dinner at the White House since taking office, in celebration of Ramadan. WASHINGTON (AFP) - Donald Trump hosted his first iftar dinner as president on Wednesday (June 6), marking the traditional Ramadan fast-breaking meal with Muslim invitees at the White House. Trump, who has frequently engaged in inflammatory anti-Muslim rhetoric, hosted the event in the State Dining Room. He did not hold a similar event in his first year in office, in a break with past presidents. Millions of devout Muslims observe the holy fasting month of Ramadan, which is slated to end on June 14 this year. From sunrise onwards, they abstain from food and drink, breaking their fast at sunset. "To each of you and to the Muslims around the world: Ramadan Mubarak," Trump said. "Tonight, we give thanks for the renewed bonds of friendship and cooperation we have forged with our valued partners from all across the Middle East," he said. 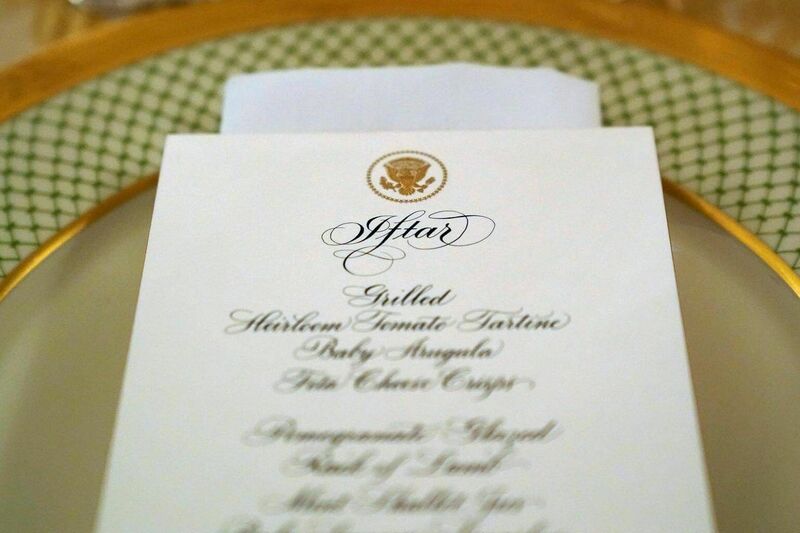 Iftar dinners have been a regular feature on the White House calendar, along with prayer breakfasts, Passover Seders and similar events. Several American Muslim groups said they would not participate in Wednesday's iftar.